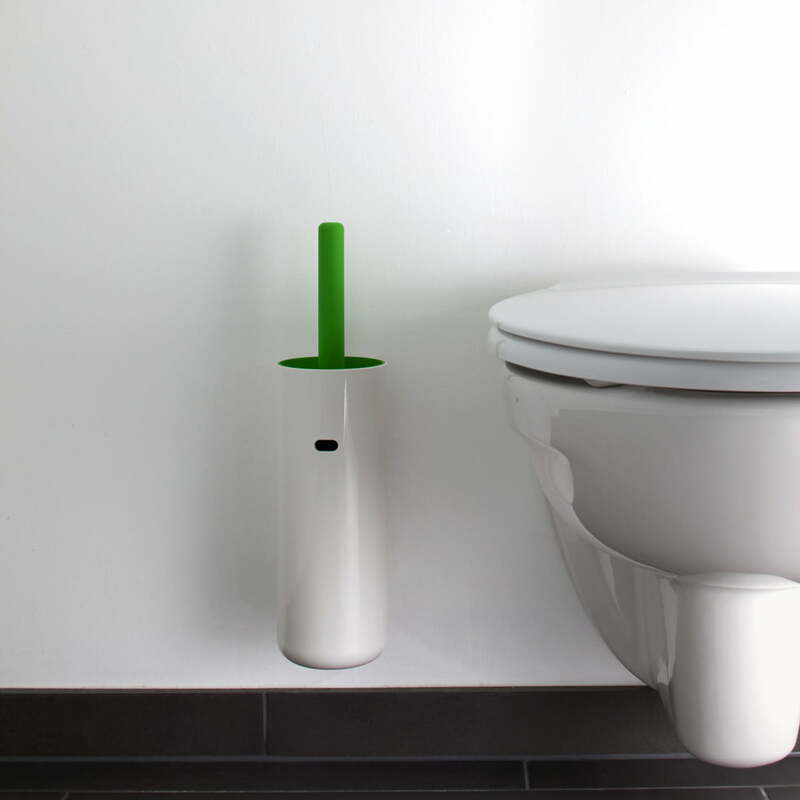 The Lunar toilet brush by Authentics is part of the similarly named bathroom collection by designers Edward Barber and Jay Osgerby. Just like a sabre, you pull the Lunar toilet brush out of its sleeve. 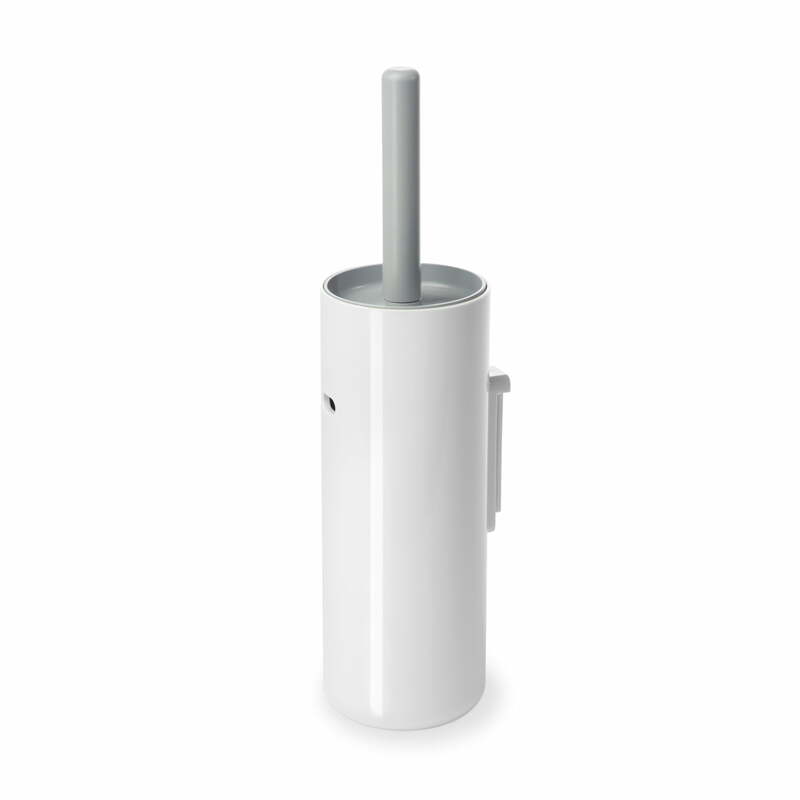 The integrated lid protects hands from splashing water when brushing. The head of the brush can be unscrewed, removed and replaced. Thanks to a long hole in the brush holder, the brush can dry faster. 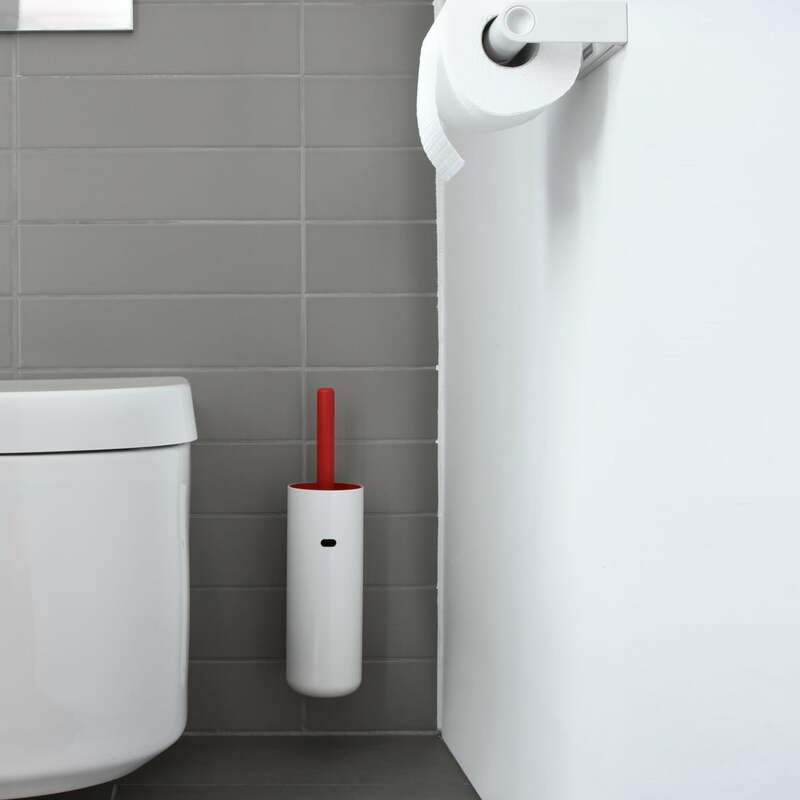 The wall-mounted toilet brush consists of heavy-walled ABS plastic and nylon. 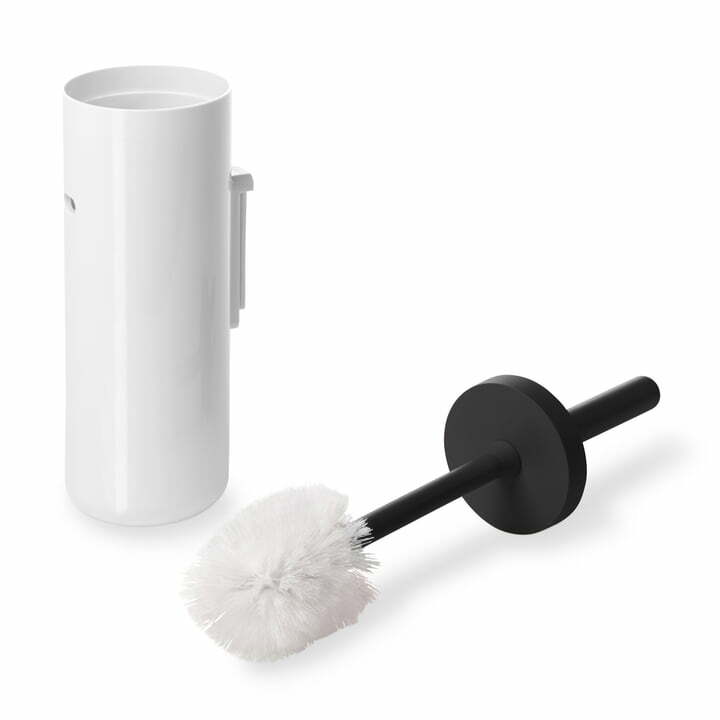 Like all other products in the Lunar collection, the Lunar toilet brush also has a round design without any corners. 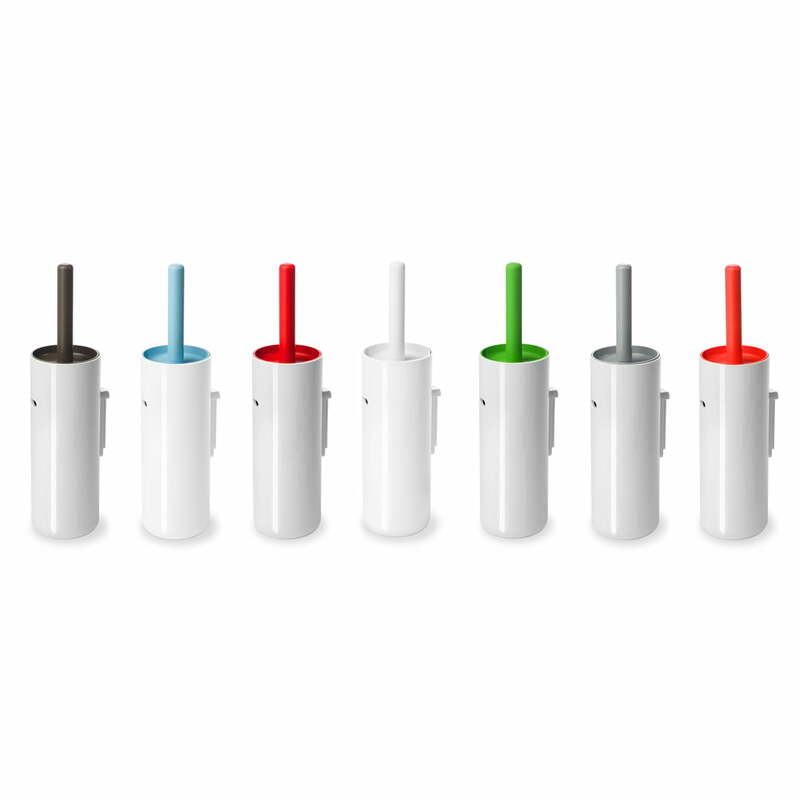 In terms of colour, the toilet brush fits perfectly in the collection by Authentics: the holder is designed in simple, high-gloss white, whereas the brush insert appears coloured and matte.